Buy it here. Currently $2 cheaper than retail. 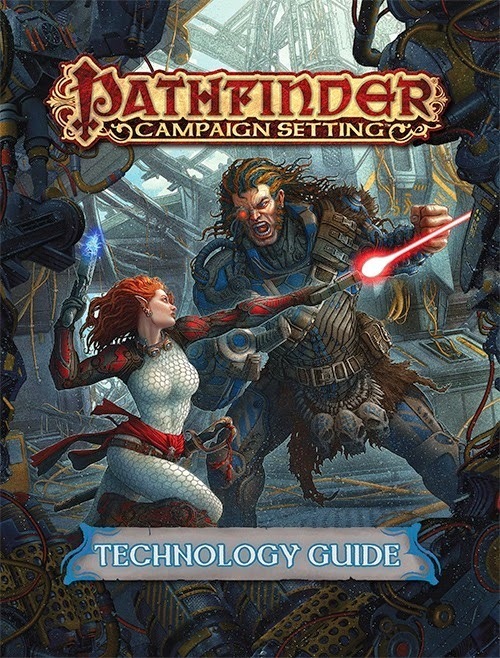 I always get excited when content is added to the Pathfinder Reference Document... or released as OGL material in any capacity, really. This particular update is even better because I've been dreaming up a science fiction setting (Alpha Enigma), and this gives even more material to use that I can incorporate in an official capacity if I ever choose to publish my work. The format of the PRD website was updated, and I really like the new version. It's kind of bland looking compared to the old setup, but it's more user friendly as well. New feats and archetypes for character creation (although there are only a handful of archetypes, one each for the fighter, cleric, rogue, barbarian, and gunslinger). I've only skimmed so far, but so far I like what I see.